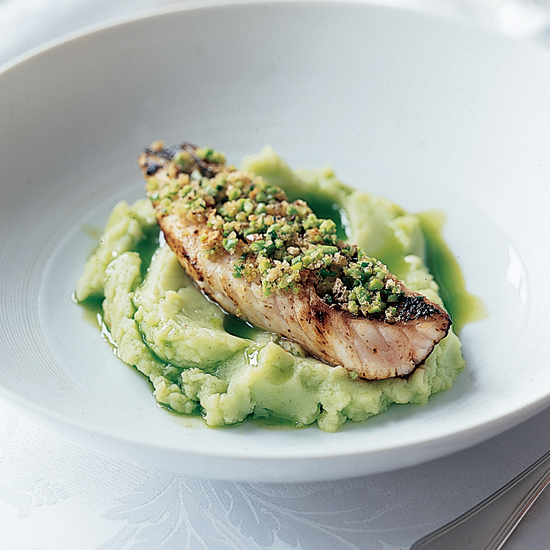 These recipes include Jeremy Fox's pea consommé with mint and Naomi Pomeroy's smoky tomato soup with maple-candied bacon. 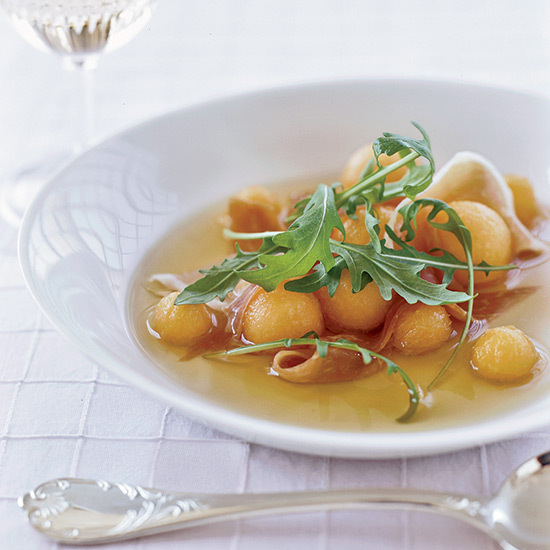 Carlson's prosciutto consommé with melon balls is a clever riff on the classic prosciutto-and-melon combination. What makes it astonishing is the crystal-clear flavor of the delicate prosciutto broth—such a great alternative to the usual chicken or beef. 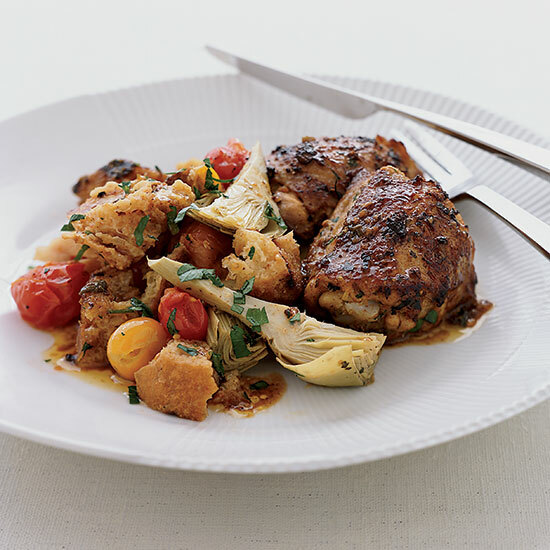 In her smart version of panzanella, the Italian salad, Grieveson combines grilled bread and sweet broiled tomatoes with marinated baby artichokes before dressing the warm salad with a lemony vinaigrette. 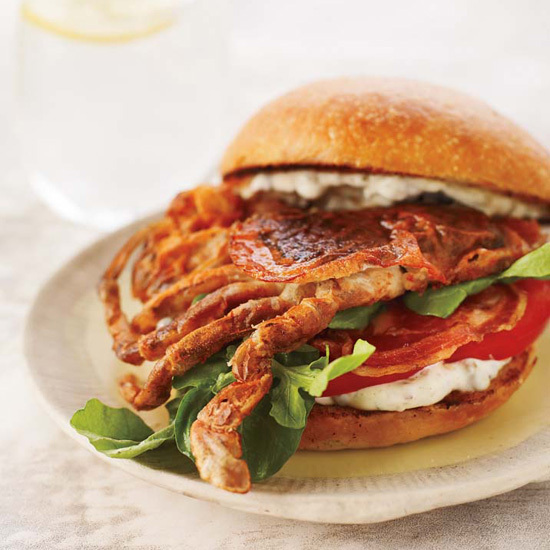 Prepare these hefty soft-shell crab sandwiches by layering salty slices of pancetta, slabs of tomato and a remoulade made with store-bought mayonnaise. Armstrong tells of how a family friend came over for lunch one day and marveled at the apple pie his mother, Angela, had made. 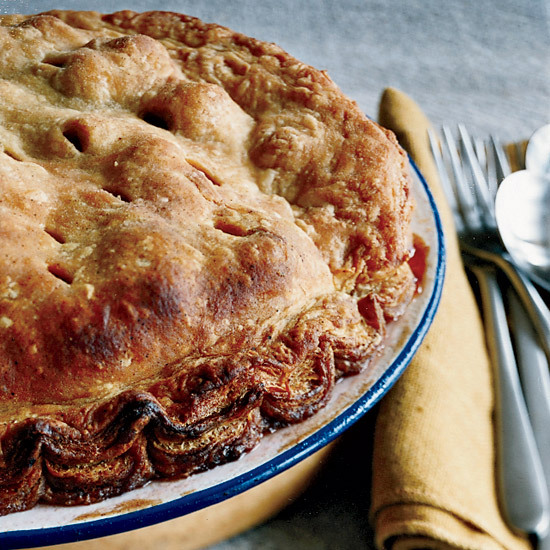 When her husband, Gerry, asserted that it must have been the apples he grew that made the pie taste so good, the friend said, "Angela, you tell him pastry like that doesn't grow on trees." 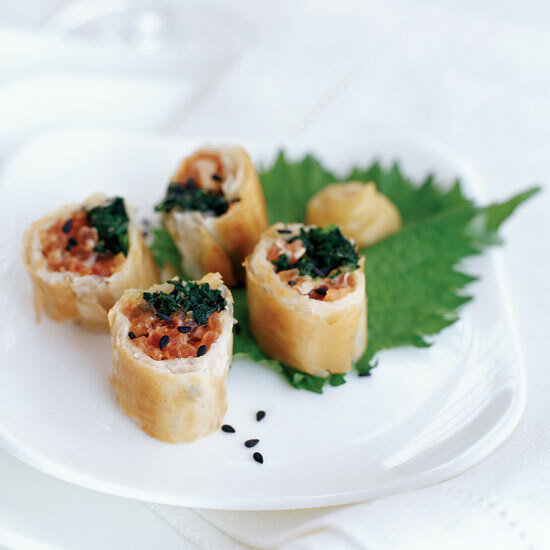 Since puff pastry can be tricky to prepare, this version uses a high-quality, store-bought puff pastry. Craft likes using extremely fresh ricotta cheese for his toasts. 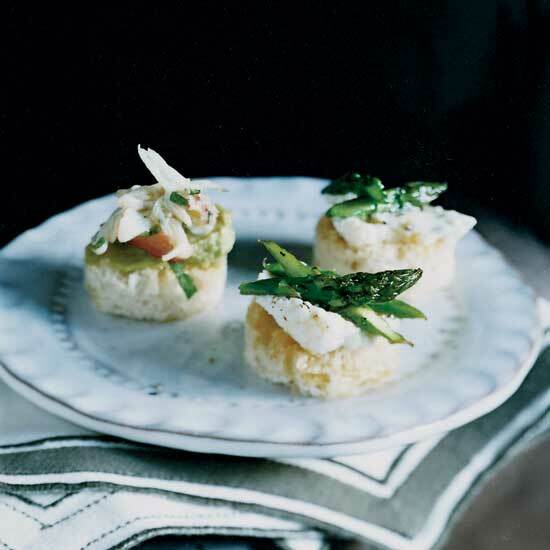 He tops the cheese with sautéed asparagus that he tosses with fresh lemon juice, which brightens the flavors considerably. 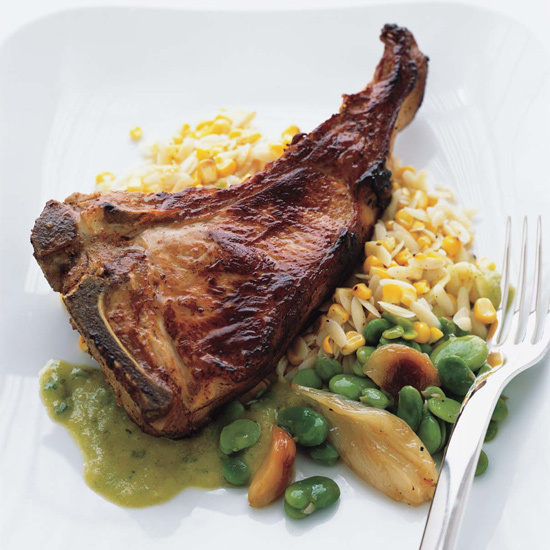 Young garlic bulbs are mild, with a delicate flavor that makes for a fantastic vinaigrette that Garrelts drizzles over plump veal chops and smoky, charred corn and orzo salad. 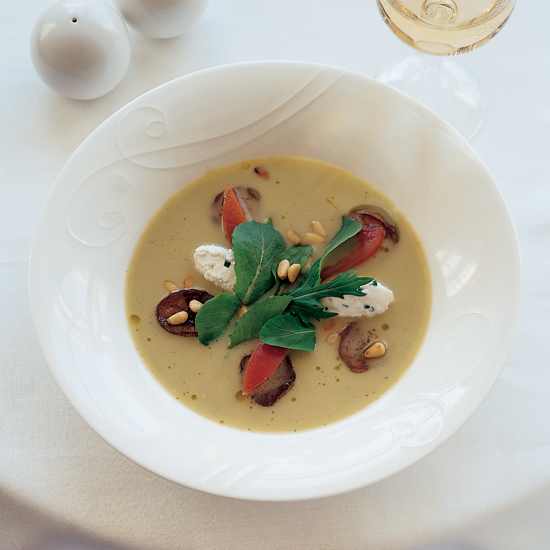 Anthony's refreshing chilled soup would be great for outdoor entertaining. 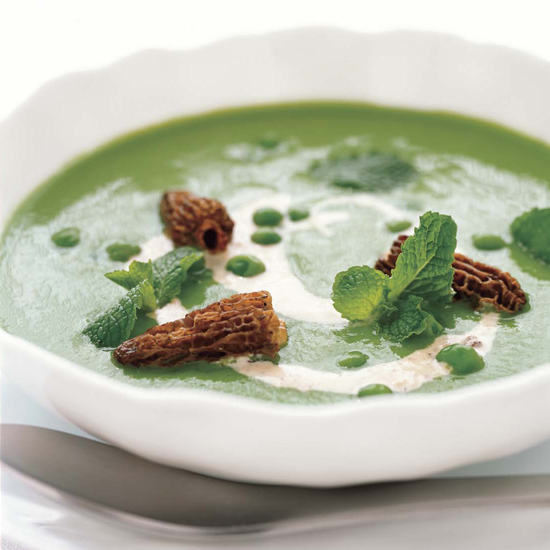 Humm serves his wonderful sweet pea soup "cappuccino-style," with a topping of morel cream that's been frothed with an immersion blender. The recipe here simply calls for swirling the cream into the soup. Indeed, the cream is so intensely mushroomy, you may be tempted to eat it on its own. 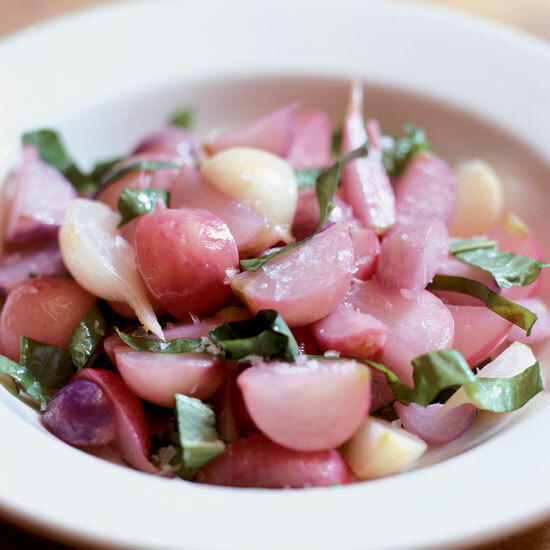 Few people think of eating warm radishes, but they are delicious—like turnips with a little bite. According to Maws, who describes himself as "more of a butter guy than an olive-oil guy," some butter also softens the edge. 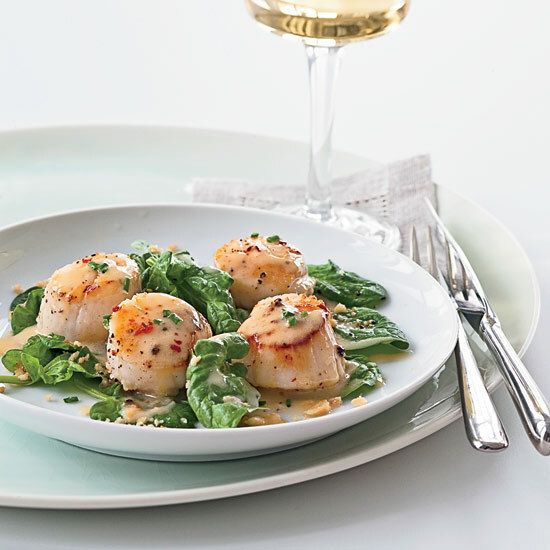 A just off-dry Riesling has enough tartness and ripe fruit to stand up to the rich tuna and balance the bite of the shallots and wasabi in the sauce. The bright flavors of tomato, orange juice and smoked paprika make this soup perfect for summer, as does its versatility: It's delicious chilled or hot. 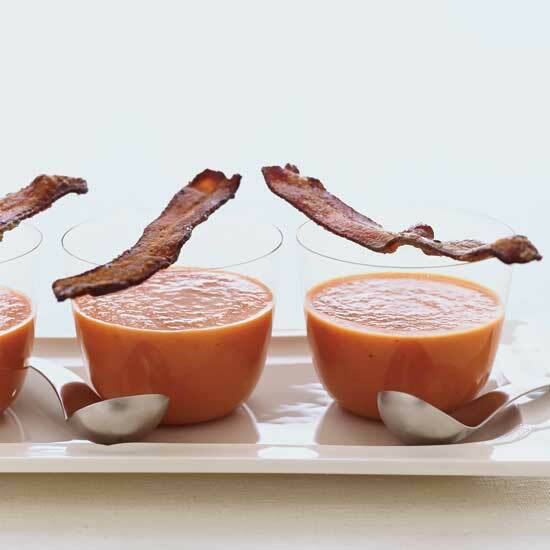 Pomeroy serves the soup with a side of maple-candied bacon, which she prepares by sprinkling bacon slices with maple sugar and baking them until crisp. 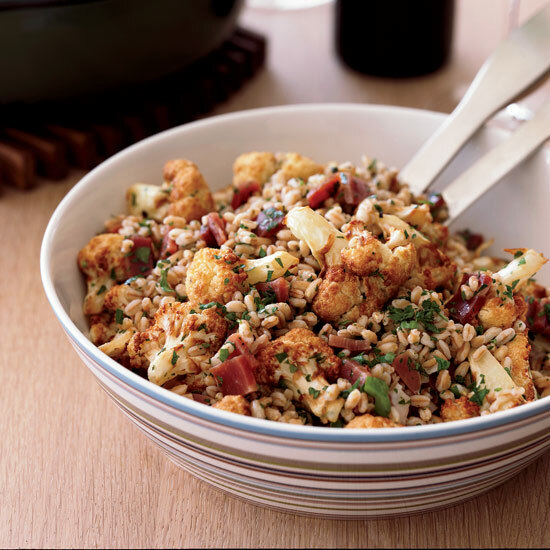 Cooks in Italy fry cauliflower to bring out its nuttiness. Here, Stowell deep-fries it for a salad with salty prosciutto and nubby farro (a variety of whole-grain wheat). 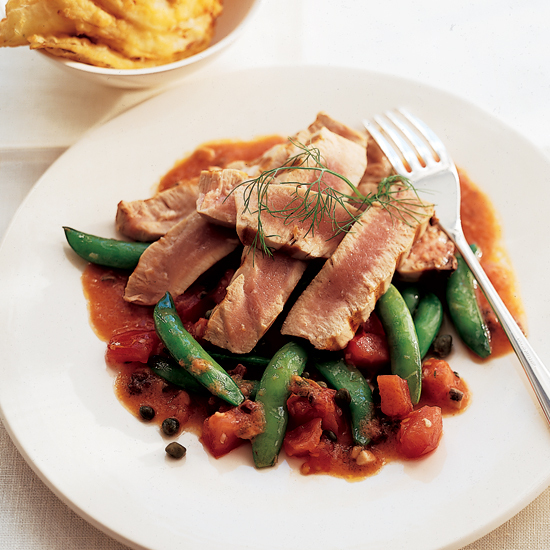 "When I lived in Singapore, I really learned how to use spices in different ways," says chef Wilson of Crush restaurant. 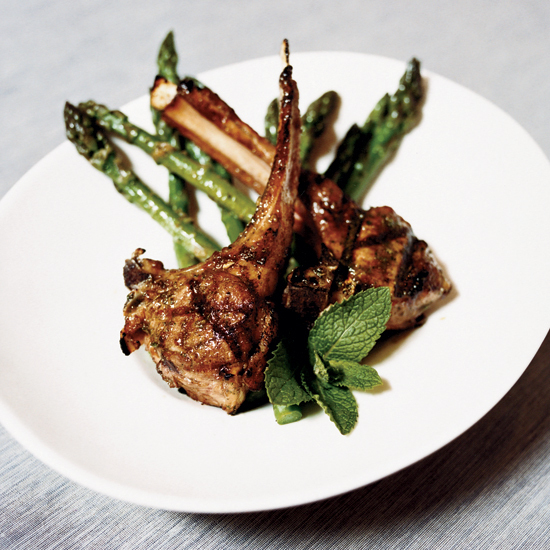 After he marinates the lamb in an oil scented with marjoram, cumin and fennel seed, he grills the meat until slightly crusty, then serves it with asparagus drizzled with mint vinaigrette. 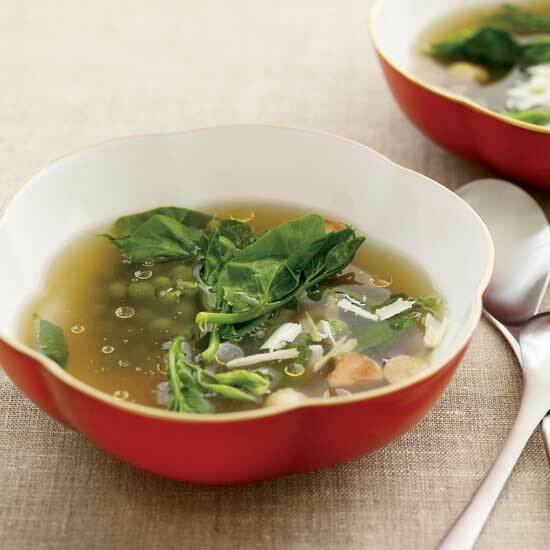 This delicate broth is full of vitamin C, thanks to the pea pods Fox simmers. 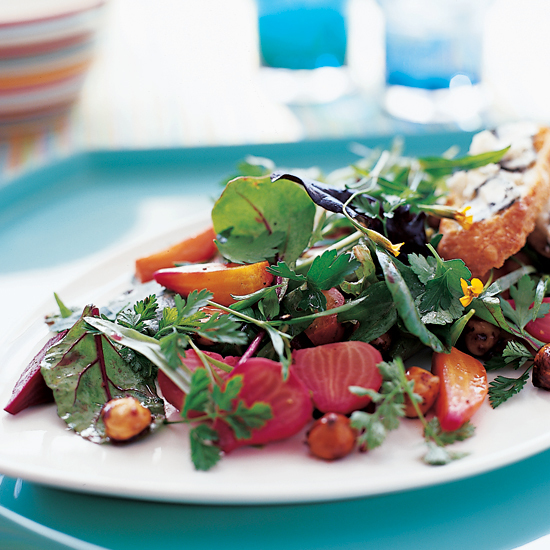 (Snow peas are just as delicious and easier to find.) He tops the consommé with shards of white chocolate because he likes the way it brings out the peas' sweetness while adding only a little fat. 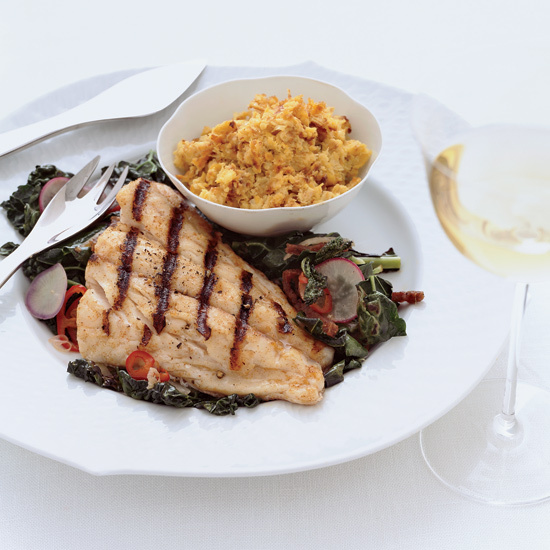 Acheson of Five & Ten restaurant and Gosford Wine in Athens, Georgia, flavors shallots with butter and Pinot Gris to create a sauce for scallops: "Pinot Gris loves shellfish," he says. 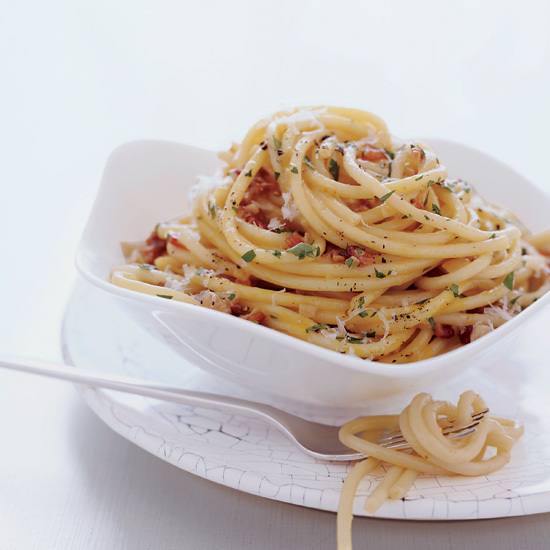 Italian carbonara is famously rich, combining pancetta or guanciale (cured pork jowl), egg yolks and cheese. At Holeman and Finch, Hopkins adds his own Southern accent to the dish with house-cured pork and local eggs. Caswell's method for making his version of corn pudding is brilliant in its simplicity: He grates corn on the cob, places it in a hot skillet and bakes it. As the corn cooks, it turns creamy in the middle and crusty on the edges.